This is a full development tool that all the mobile app developers want. Using this framework, developers can make mobile apps compatible with running on almost all types of operating systems namely Android, iOS, Windows and so on. The behavior of application varies in different devices. Thus, this framework has a functionality to reset the format according to any device varying from laptop to mobile. These tools are necessary for deploying mobile app development services fto maintain the synchronization, as the build is hosted on the cloud. This development tool has good support for data-intensive apps and developing APIs. The source code of this framework is maintained by Tau technologies but was previously developed by Zebra technologies. It is the smallest building unit for the RhoMobile application development service. It enables the use of HTML, CSS etc. skills for the developers to utilize them and build out useful native applications. This utility has given a boost to all the open source developers’ community. It enables users to handle push notifications. It ensures that right updates are carried forward for applications, as there are deployed on different platforms and devices having multiple operating systems. The elements provide features for enterprise making it a supportive enterprise-grade, thereby adding up to the Rhodes. This build is supported by some of the devices like Windows CE OS and it’s mobile. It allows developers to take advantage of the Model View Controller look, which is already built-in within the framework. This MVC helps in maintaining the logical view of the interface so that it is to facilitate changes and take hold of the flow of control of classes. It breaks down the modules into simpler levels which are easy to understand. Then we also have Object Relational Manager and integrated data synchronization for data-intensive apps. It helps in managing backend data and also provides a platform for so many APIs examples of which are RFID capture, processing the payments, encryption of data for security reasons, and scanning of bar code. It is basically a cloud service and cannot be availed for free. It is a paid service and all the cloud builds are supported in here. Some of the services names are RhoConnect and RhoGallery hosted service. It is an Eclipse plug-in which is free of cost. This helps the developers to code only once for many platforms, that is, once the code is ready, the application can be deployed in different mobile platforms. RhoStudio is an all in one kit, wherein applications can be generated, debugged, developed, and tested. No additional emulators and hardware’s are required for different purposes. All the OS platforms that have gained popularity will be available in a drop-down list. To sum up, one-time development is effective as it carries fewer errors and low hardware cost. RhoStudio is perfect for fast deployment of applications. It helps to bring out data synchronization in the application mainly for offline data access. It helps all the users to have access to their data even when they are not connected to the internet. The data is available on the cloud as well as on the premises of the user. How MVC architecture suits to be perfect for RhoMobile? This suite uses Model View Controller architecture for app development. That means all the URL mapped views are written in HTML and the controller uses Ruby language. It is simple to use and has a good structure for pricing. This suite makes it easy for Android as well as iOS app developers to develop code faster with fewer errors and efforts. This Suite’s 5.0 version offers multi-tier transparent pricing, which is a paid service, to meet the core needs of developers. However, the basic app and framework are still given as a free service. They provide a free subscription to paid services for only one month, after that payment has to be made to avail those services. This architecture is used by many of the top mobile app development companies as it uses the most convenient view which is model view controller. 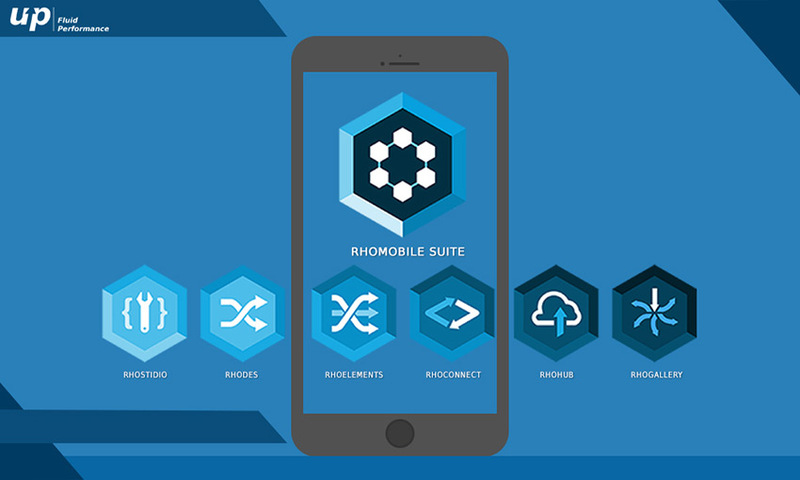 There is no feature which this suite falls short off, from development to cloud services, RhoElements provide all of it.